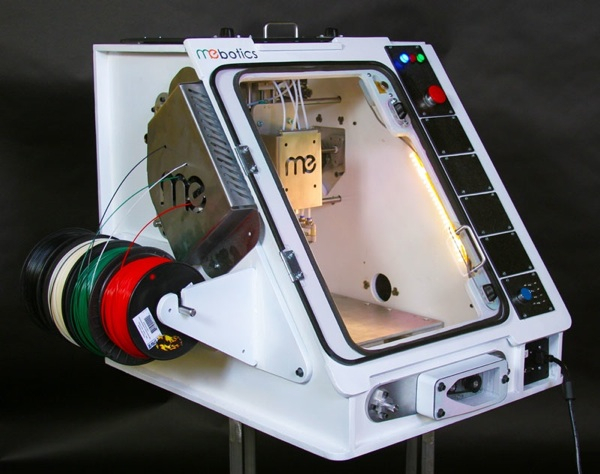 Mebotics “Machine Shop in a Box” #3DThursday #3DPrinting « Adafruit Industries – Makers, hackers, artists, designers and engineers! While there have been a bunch of projects promising to add subtractive and additive in the same machine for makers, this one is going after these tools within a machine safe enough to have in your home. Interesting idea! 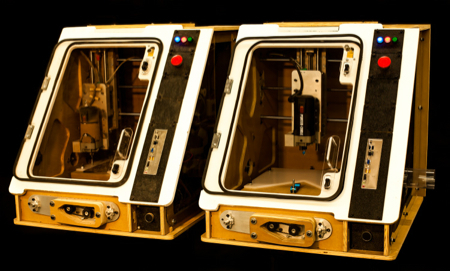 a networked, easy to operate, affordable, mess free, quiet, safe desktop machine capable of: printing functional parts in four colors or multiple materials and computerized etching and computer-controlled milling! Use the “Machine Shop In A Box”, the first machine to combine additive and subtractive machining in one package, to unleash your most innovative ideas! The Microfactory was designed by experienced industrial makers and incorporates a ton of useful quality, safety and durability features into its revolutionary design. Check out the Machine Specs for lots of incredible details!